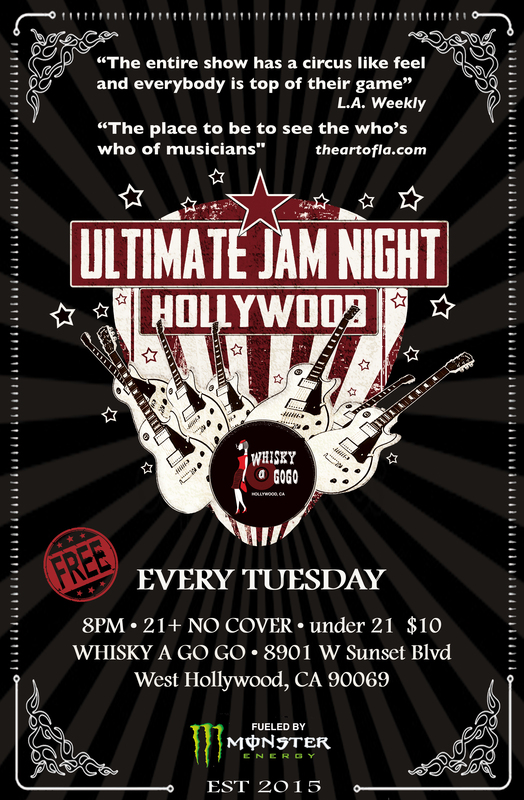 Ultimate Jam Night is an immersive Rock ‘N Roll show held weekly in Hollywood, California at the world famous Whisky A Go Go, Hollywood, California Tuesday nights. NO COVER for 21+/ $10 Under 21. The Show starts at 9:00 P.M.
Click here to watch the live stream on RYouLive! © 2019 Whisky a Go Go. All Rights Reserved.